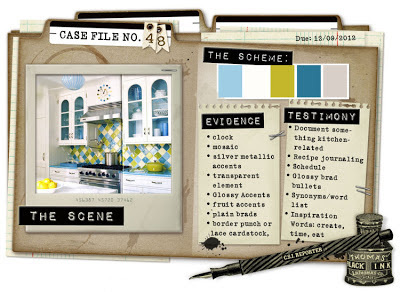 BELOW IS HOW I SOLVED THE CASE . lots of texture, depth and dimension , and a cup of coffee. aaahhhhh !!!! relaxing and satisfying . clock, transparency, glossy brads, plain brads, border punch . My Kitchen fills my heart with warmth and peace. My passion for candles also finds its expression here . it is in the kitchen we can share with others a feeling of warmth and love where the family interacts coming together each day to laugh and talk .' MOMENTS IN TIME' I adore my kitchen . 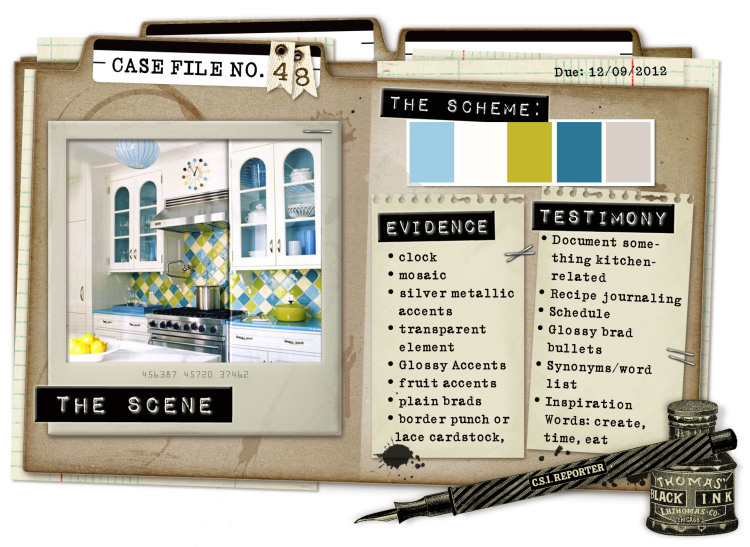 hope I have inspired you in some small way to have a play at solving this case file . thanks for taking the time to leave me some blog love, I read every single word and love it . This is soooooooooo beautiful!! I loveeeeeeeeee the colors, the layers and loveeeeeeeeeee the rosettes!!! I've seen it on CSI, it's oooooooooh ! Fabulous ! wonderful page cool background . Oh wow I love the texture! very beautiful! Stunning LO !!! And looks delicious. I adore this Heather and that textured background is just divine!!! You have such an amazing style Heather and I am sure it just gets better and better. 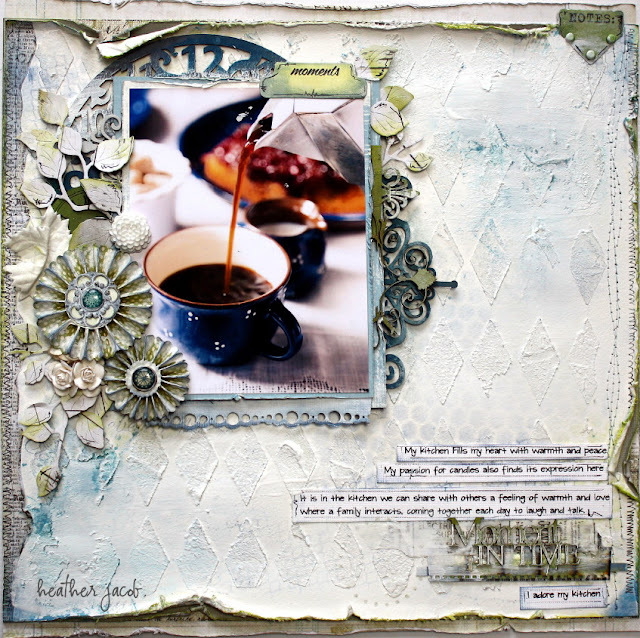 I absolutely adore that harlequin background your created and your layered style is FAB!! \love your layered style on this layout. The chipboard title is perfect. Thanks for stopping by with your kind comments on my blog. Oh Heather, this is beautiful.. love the back ground and the chippies, amazing photo, and you have inspired me to invite myself to your lovely kitchen for a cuppa!haha!! Linda página amei a forma como aplicou a textura,abraços! Gosh, this is so beautiful. I never can find the words to describe... just pure stunning. Beautiful. The diamonds in the background are awesome and love that pic. I too love my coffee and hopefully in a few weeks I can tell you I love my kitchen as the new one should be in by then. Yay. Then on to the rest of the house.....arrrggghhhhh. Wow! Wow! Wow! This is just gorgeous! 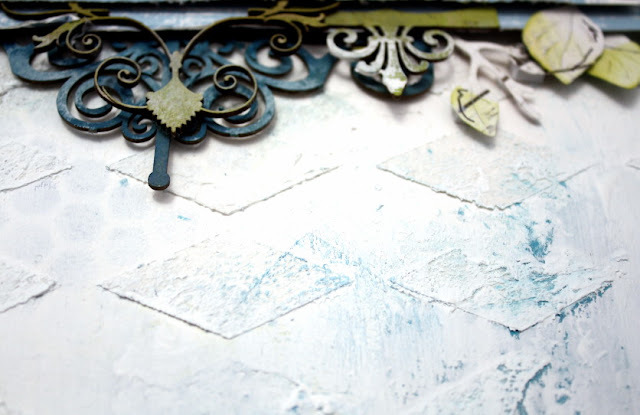 Love the texture here with the light blue on it....such a dreamy lo! Love the yummy pic too....I'll have a cup of that...lol!